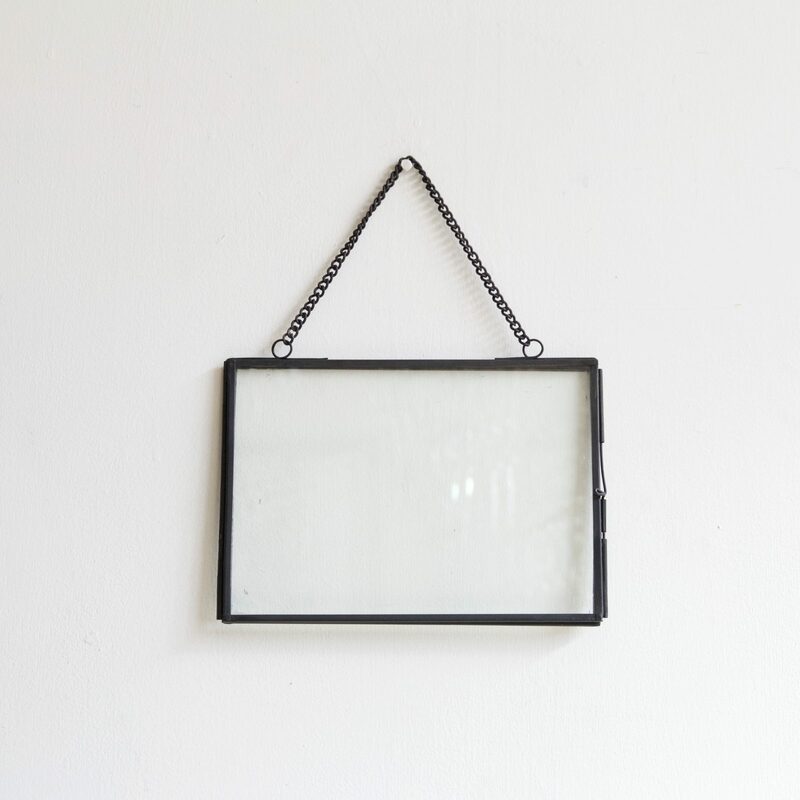 Small contemporary clear glass and black frames. Perfect size for postcards, photos and unframed prints. Suspended from chain with a pin hinge for easy opening, available hanging in landscape and portrait. Multiples available. H: 18.5cm (7.3in) W: 13.5cm (5.3in) D: 0.8cm (0.3in) - 20cm of chain.